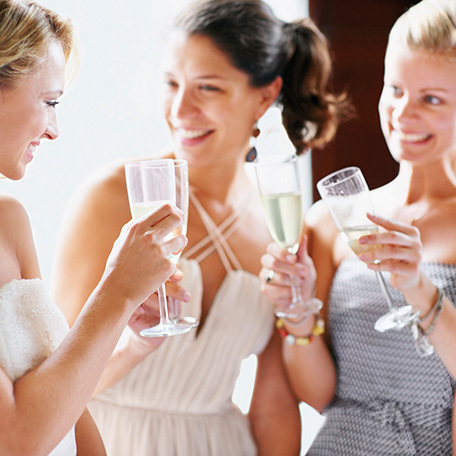 When it comes to bridesmaid dresses, the mix-and-match approach is trending in popularity. Start by deciding on a color palette, such as lilac, champagne, and petal pink. Then have each bridesmaid choose her favorite style within that range of hues. Bring it all together by choosing a uniform look for makeup, shoes, and accessories. When building a registry, it’s never too early to start. People want to give gifts as soon as they know a couple is engaged. Start by taking inventory of what you already have, what you need and what you want to upgrade. It’s also recommended to update the registry regularly so there are enough gifts to choose from, especially if there are an engagement party and bridal shower coming up. To get started, some popular registry items include stand mixers, craft beer glasses, Dutch ovens, bath towels, and vacuums. For extra guidance, couples can speak to advisors who can help with the full registry building process at Macy’s stores.